Enroll Your Child in Kodiak 4-H Today! Enrollment begins October 1st for the 2018-19 year, and continues all year long. Online enrollment is available for Kodiak 4-H at this link. ​Be sure to choose the re-enrollment option if you have enrolled online previously, it will save you a LOT OF TIME! Download and print enrollment packet here, or stop by the office between 3:30-5 M-F to get one in person! 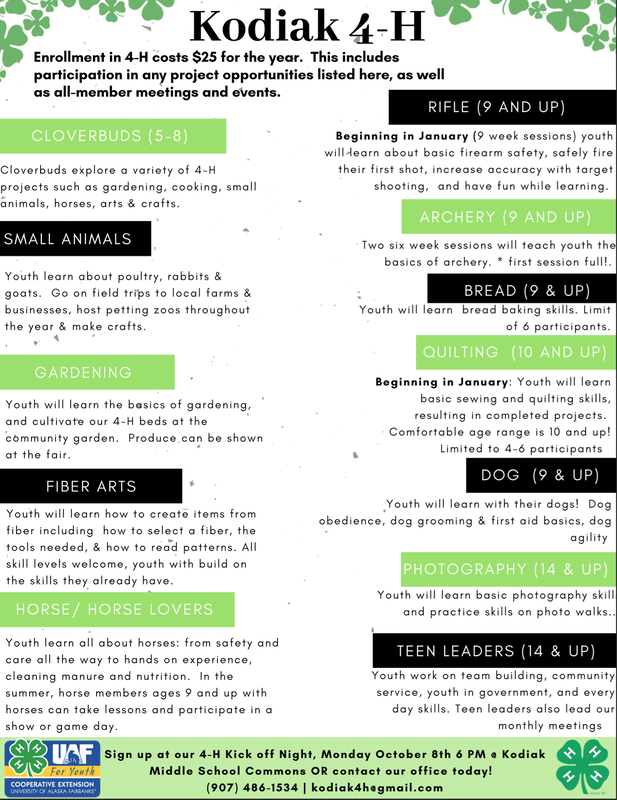 Complete one form per child, and e-mail completed forms to kodiak4h@gmail.com or arrange a time to drop it off at our office. Call 486-1534 with questions. The enrollment fee is $25 for the first child in each family, with each additional child $15. A large portion of this is to cover insurance for your child while participating in project events and activities, and $10 of it comes back to the club for supplies and other expenses. 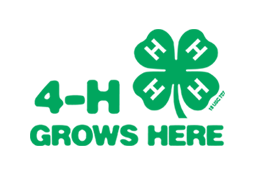 You can drop off cash or check to the Kodiak 4-H office, mail in your payment or pay online using the link below. ​If you cannot afford this fee, but wish to participate - scholarships are available. Contact our local office at 486-1534. Once your enrollment forms and payment are submitted, you will receive additional information from the office! ﻿﻿Do You Know What 4-H stands For?